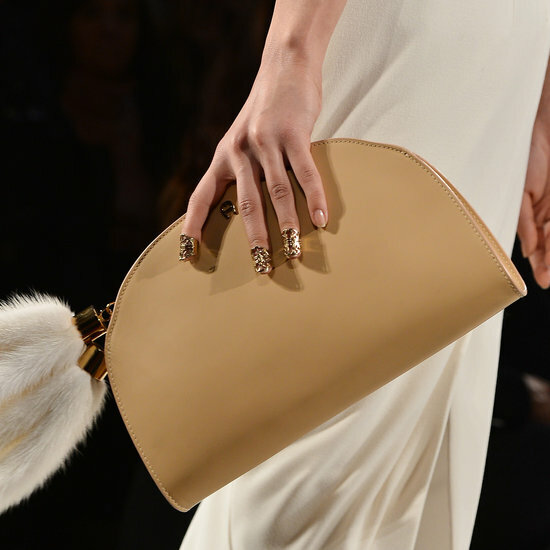 but we spotted nail jewelry on the Aigner Fall 2013 catwalk. The nails were kept bare except for the golden rings that decorated a few of the models’ fingers. We want to know what you think of this nail jewelry. Would you wear it?